Courts are essentially divided between state courts and federal courts. Federal courts have jurisdiction to hear lawsuits involving the federal government (or one of its agencies). All other lawsuits must be filed before state courts. Labour claims must be filed before specialised labour courts. Class actions must be filed at any of these courts, depending on whether the federal government is a party, or if the claim is predicated on labour laws: state, federal or labour courts. If the class action encompasses damages that affected more than one state, it must be filed before a federal court. Class actions are very common in Brazil, especially for the protection of consumer rights and environmental laws. This type of action has become more popular since the Brazilian Consumer Defence Code was enacted in 1990, and thus, a culture of protection of collective rights has become more prevalent in Brazil. Generally speaking, the judiciary has adopted a pro-class action attitude. The Brazilian National Council of Justice (CNJ) has established a goal to prioritise the ruling of class actions. According to a report published by the CNJ in 2018, 52,355 class actions were filed before Brazilian Courts between 1 January 2007 and 31 January 2017 (http://www.cnj.jus.br/files/conteudo/arquivo/2018/03/799b01d7a3f27f85b334448b8554c914.pdf). From all these lawsuits, 43,454 were ruled (not necessarily on the merits) by Brazilian courts until 31 December 2016. Although it is not possible to confirm the percentage of class actions that were settled, the CNJ reports that settlements are usually reached by consent agreements executed with the party who has standing requirements for a class action (see question 8) and before the filing of such lawsuit. However, a recent precedent from the Supreme Court is considered a major setback for the development of class actions given that it restricts the benefits of the judgment of class actions filed by associations to the members of the association who were domiciled where the court is located, and who were listed as members on the date when the class action was filed (RE No. 612.043). As to the lawmakers, the new Civil Procedure Code, which has been in force since March 2016, established new mechanisms for courts to rule on repetitive individual lawsuits, but it was criticised by scholars for not providing any innovation or improvement with respect to class actions (one article authorising the judge to convert an individual lawsuit into a class action was vetoed by the president). Considering that the Brazilian legal system is based on civil law, class actions derive from statutes. After the Class Action Law, the Brazilian Federal Constitution (1988) and the Consumer Defence Code (1990) were enacted, and together constitute the main legal framework for class actions. grouped together by a common legal or contractual basis, such as: consumers bound to a contract deemed to be unfair (eg, users of health insurance); or workers of factory or class (labour class action). any other diffuse, collective and homogeneous individual rights, which may encompass a broad variety of claims (minority rights, children’s rights etc). Courts have ruled that tax claims may not be litigated in class actions. Any type of relief can be sought in class actions. Specific performance is the most common remedy. The court normally orders the defendant to perform any given action, or to refrain from doing it (eg, remediation of contaminated soil and water, reforestation of areas, recall of defective products, advertising, changing of contractual clauses, etc), under pain of payment of a daily fine or adoption of coercive measures (eg, removal of things and persons, interdiction of the business, destruction of constructions). In class actions filed on behalf of a group, the court may order, for example, that the defendant provides the members of the group with health insurance plans or a medical monitoring programme. The court can order specific performance either as a preliminary injunction (in case there is likelihood of success on the merits and risk of irreparable harm) or as a final injunction. Damages are also available, but it is generally up to the plaintiff to choose between specific performance or damages. In class actions filed on behalf of a group, the court may only rule that the defendant is liable for damages arising out of a given fact. Members of the group will then file individual lawsuits based on this ruling to liquidate and collect the damages. As a general rule, punitive damages are not available in Brazilian laws. However, driven by the US approach, more and more scholars have been arguing that, in class actions on behalf of the public interest, the defendant should be compelled to pay an award to a public fund to compensate the ‘diffuse moral damage’, which is a damage suffered by the collectivity as a whole. Yes. The Code of Civil Procedure establishes that two or more actions may be consolidated before the same court when they have the same claim or cause of action, or in case there is a risk of conflicting judgments if they are decided by different judges. In this case, the court where the first action was filed will have jurisdiction to hear the other similar claims. This mechanism applies both to individual actions and to class actions. However, there is no national database with information about class actions. Even though the CNJ determined on 20 October 2010 the creation of a national database for class actions, such database has not yet been created (to see additional information, access: www.cnj.jus.br/noticias/70348-cnj-vai-criar-banco-nacional-de-acoes-coletivas). Nevertheless, the Court of Appeals of the State of Rio Grande do Sul has created its own database (www.tjrs.jus.br/site/processos/acoes_coletivas/banco_de_acoes/). The class action is initiated with the filing of the complaint. It is not necessary for the plaintiff to provide an opportunity for the defendant to settle the claim or cease the harmful act before filing the class action. After the complaint is filed, the judge makes a preliminary analysis on whether the action fulfils the conditions to proceed, and decides on any request for preliminary injunction. The defendant is then served to present an answer to the complaint within 15 business days. associations with more than one year of existence, and that include in their by-laws the protection of rights that may be exercised through class actions. Members of the class or group benefit automatically from the favourable judgment rendered in the class action (there is no need to opt in). On the other hand, if the court rules the class action against the group, the members are not affected, and remain entitled to file individual lawsuits. However, plaintiffs who have filed individual claims will not benefit from the class action judgment unless they request the suspension of their individual actions within 30 days after they are notified about the existence of the class action. Article 94 of the Consumer Defence Code provides that, after a class action is filed, a notice of the filing should be published in an official newspaper, without prejudice to ample publicity that must be given by the consumer protection agencies. To be admitted as a class action, the claim must be filed by one of the plaintiffs who have standing to sue (see question 8), and the cause of action must be based upon the protection of one of the rights that can be protected through class actions (see question 4). The plaintiff must name its action as a class action. If the judge verifies that the plaintiff has standing to file a class action (see question 8), and that the cause of action is predicated upon a right that can be defended through a class action (see question 4), the judge will authorise the class action to proceed by ordering the defendant’s service of process. However, if the plaintiff lacks standing to file a class action or the case does not involve a right that can be protected through a class action, the judge will dismiss it on procedural grounds. Brazil does not have the concept of ‘pretrial discovery’, as in some common law jurisdictions. This means that, as a general rule, a party may not be obliged to disclose documents against its interests (this is set forth in the Constitution, in the Code of Criminal Procedure, in the American Convention of Human Rights and in the Code of Civil Procedure). Under Brazilian law, the basic rule is that the plaintiff has the burden of proving the facts that give rise to its rights, and the defendant has the burden of proving its arguments of defence. In principle, each party must produce its own documents and evidence. In certain cases (eg, consumer cases), the judge may invert the burden of proof. Claims for disclosure require a detailed description and identification of the requested documents and an indication of the purpose for which they are being sought. The requesting party may also be compelled to state the reasons why they believe that the requested documents are in the other party’s possession and cannot be produced otherwise. Note, however, that the judge may order the production of documents that are in possession of the other party (or a third party) if: the documents to be produced are clearly identified (no ‘fishing expedition’ admitted); there are reasons for the requesting party to believe that the documents are in the other party’s possession; and the requested documents are relevant for the outcome of the case. If the party refuses to produce the document, the judge will not allow the refusal if: the party has a legal obligation to produce; the party made reference to the document as a means of evidence; and the document is considered ‘common’ to the parties (eg, a contract). These rules apply to individual actions and class actions. The Class Action Law establishes that the plaintiff is authorised to request to the competent authorities ‘certificates and information that it deems to be necessary’ to prove the facts (article 8). Such documents shall be provided within 15 days. 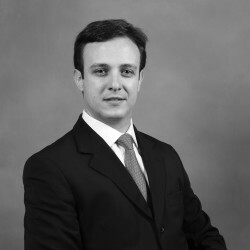 According to Antonio Gidi, a major shortcoming of Brazilian class action law is ‘the absence of regulation and procedures for approval of settlements’. Considering that the ‘rights do not belong to the representative, but to the group as a whole (…) representatives are allowed to make only peripheral concessions over the manner in which the defendant will adjust its behaviour to the law, regarding time and place, for example’ (Gidi, A, see question 3). According to the res judicata regime of class actions (see question 15), a settlement agreement executed in a class action filed on behalf of the members of a group can benefit only the individual members. Any aspect of the settlement agreement that is detrimental to the members of the group will not be binding upon the individual members, who remain entitled to file an individual lawsuit. For this reason, in practice, it is not possible for a member to object to a settlement. Brazilian law has a very peculiar treatment of the res judicata formed in a class action. According to article 103 of the Consumer Defence Code, the judgment is binding upon the class members, but only if favourable to the class. If it is not favourable, the members may file individual lawsuits to protect their rights. Antonio Gidi summarises this regime: ‘if the class action is decided in favour of the group, all absent members of the class benefit from the decision. If decided against the group, however, the class action is precluded and no other class action can be brought again to represent the same group right, but the class members are not bound by the decision; they can still go to court to pursue their individual rights in individual actions’ (Gidi, A, see question 3). Note, however, that if the class action was rejected on the merits owing to the insufficiency of evidence, the class action may be filed again based on new evidence. There are four different levels of jurisdiction in Brazil: trial court, appellate court, Superior Court of Justice and Supreme Court. At the appellate court level, the court of appeals may review questions of fact and law. At the Superior Court of Justice (federal law issues) and the Supreme Court (constitutional issues), only legal issues may be reviewed. As governmental entities, regulators have standing to file class actions. However, regulators prioritise investigations and administrative sanctioning, and it is not possible to say that they play an important role in class actions. Follow-on class actions are a trend in consumer, environmental and, more recently, antitrust litigation. Some regulators are very proactive to notify the District Attorney’s Office regarding enforcement actions (investigations and administrative sanctioning), which leads to the filing of follow-on class actions. The State Offices of Consumer Protection (known as ‘Procons’) are very active and constantly notify the competent authorities. On the other hand, some regulators (eg, healthcare, telecom, central bank and environment) are frequently defendants in class actions, whenever a regulation is deemed to be harmful to the interest of groups or collective rights. Under the triple responsibility doctrine, civil, administrative and criminal liabilities are independent spheres for law enforcement, and, therefore, the same violation of a right may give cause to civil liability, administrative sanctioning and criminal charges. Therefore, a class action settlement (or even a ruling) does not affect pending or future regulatory action. Arbitration is not suitable for class actions in Brazil; it is allowed only when the rights in dispute are alienable, which is not the case for diffuse and collective rights. Contingency fee agreements are considered valid. The Brazilian Bar Association understands that success fees may not exceed 20 per cent of the benefit received by the party in civil cases, and 30 per cent in labour cases. As a general rule, the losing party must pay attorneys’ fees and litigation costs to the prevailing party. Attorneys’ fees are fixed by the court at between 10 per cent and 20 per cent of the value of the case. However, the Class Action Law and the Consumer Defence Code provide that plaintiffs of class actions will not have the obligation to pay attorneys’ fees and litigation costs to the defendant, unless they litigate in bad faith. This rule applies only to benefit the plaintiffs, which means that the defendants must pay attorneys’ fees and court costs if the class action is decided favourably to the plaintiff. Yes, but considering that class action plaintiffs are exempted from litigation costs, third-party funding is not common. No, given that the rights protected by class actions are inalienable rights, and do not belong to the plaintiff. If the class action is filed to protect homogeneous individual rights, the court’s ruling in the class action will be generic, and will only establish the defendant’s liability. If, more than one year after the judgment becomes res judicata, the number of individual members interested in the liquidation and execution of the award is not compatible with the seriousness of the damage, the entities that have standing to sue (eg, the District Attorney’s Office) can request the liquidation and execution of the award. In this case, the money will revert to a governmental fund to be used for the protection or restoration of similar rights. The New Brazilian Civil Procedure Code provides for the application of binding precedents to repetitive lawsuits, which are defined as lawsuits grounded on the same or similar matters of law. The tendency of holding follow-on actions as repetitive lawsuits, and therefore the possibility of applying binding precedents to such lawsuits, is confirmed by the CNJ’s report of 2018 on Class Actions in Brazilian courts. Recently, the Brazilian Supreme Court ruled that class actions for damages against public funds or against the public heritage - often grounded on corruption acts, mismanagement or misappropriation of public funds, and filed against politicians, members of the executive power or persons or companies who benefited from such illegal acts - are not subject to statutes of limitation, if they result from a wilful misconduct. This may increase the filing of new class actions regarding cases of corruption or reckless use of public funds committed since 1992, when the Administrative Improbity Law was enacted (Law No. 8,429/92). Considered one of the largest law firms in Brazil, Trench Rossi Watanabe Advogados has a comprehensive and cutting edge operation with expertise in all areas of law. Founded in 1959, the firm provides legal services to national and international clients across several markets, helping them to manage their business in an ethical and efficient way.